Splash! Bashful Turtle is here and flipping gorgeous! 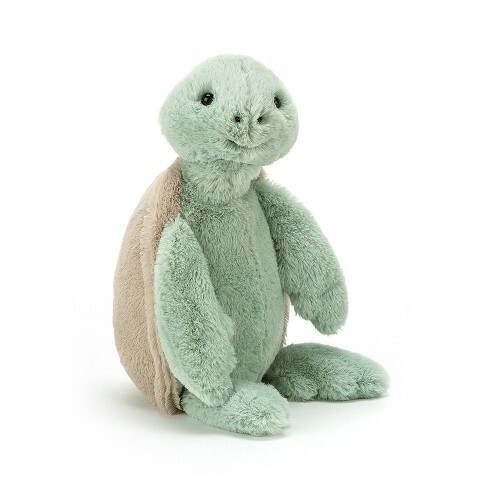 This gentle turtle has a soft grey-beigey shell and flopsy, minty, chunky flippers! A perfect companion for trips to the seaside, this swimming sweetie is funny and friendly. Dive in and snuggle up!